Real life has been going on! The past 4 months have been life changing. And every now and then, I would like to share the reality. Life does not always agree with our creative goals. I am happy to announce to the world that in December, my Husband and I took Guardianship of my Great Niece, Sarah Rose. She is 10 years old. 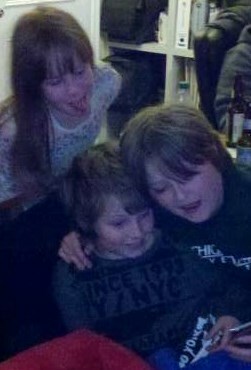 I now have a 12 yr old, Nathe(right), a 10 year old boy, Evan (left), and 10 yr old Sarah (top). Getting the family together and starting some new routines has been a challenge, but with time, we are adjusting. This did take precedence over my art for most of December, and January. While I started November with goals in place to put some work for sale on line. I ran into issues with my equipment and material. My Oxygen generator decided that its purity was going to decrease. This made making marbles difficult because it makes my clear glass dirty. And to top it off, I ran out of clear glass, and now nobody makes the size I am custom to using. Making marbles seams like an up hill battle. So, I need to pick up and pay for oxygen tanks. Picking up oxygen is a challenge for several reasons. Moving the tanks is difficult. I have over active nerves and I tend to get way to soar after relocating tanks. (Especially when snow is on the ground). The only hours the Oxy tank suppliers are open are when I am at my 9-5 job. That’s how I pays the bills so I can have my equipment and make art for the sake of it. Also, the amount of money these Oxy suppliers bully out of a glass worker is ridiculous. Long story short, I now pick up oxygen during my lunch hour, and I am totally grinning and bearing the entire process!! As far as the clear glass, that I can no longer get in stock. I have to peel 100% of the surface of the clear glass I can get. I can peel the “scum” off the surface. I can get to the crystal clear material that lies below the surface of a glass rod. It seams like 50% of my glass is getting thrown out. I am in search of a big pot of crystal clear bubble free molten glass to hang out with! 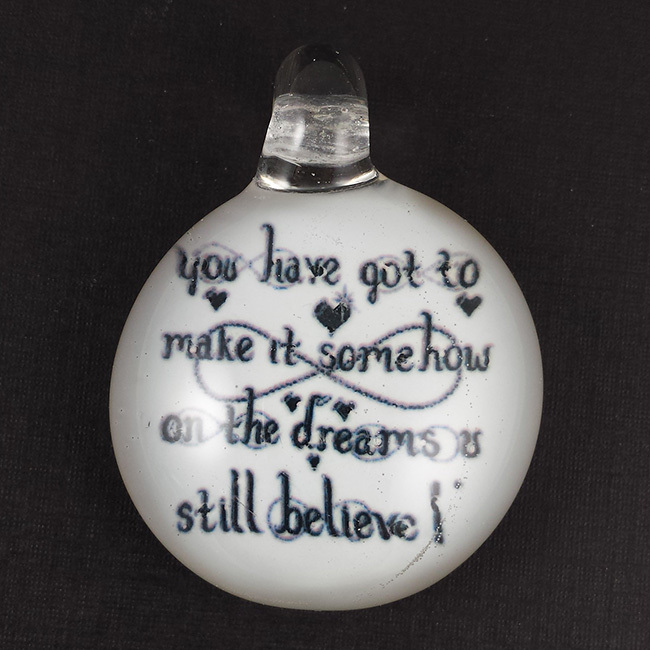 Experience my kids grow (boys-8 and 11), Work with my family business, Make Custom order glass keepsakes for Customers, Make art for the sake of Art! Update my blog and website (or, get someone else to), Visit the Furnace Glass work at April Wagner’s studio, visit the Dearborn Glass Academy’s Events, make some production beads, attend the GAS Conference in Toledo, Ohio, prepare for 3 juried art competitions, Maybe buy a new home and a new studio? (depending on how the “this economy” treats me), get Oxygen delivered regularly, spend 2 days with JC Herrell in a big glass room, work with some New Gallery’s, and start another business. Now, to figure out how to make it all happen. This next couple weeks is about figuring out the best way to pull all of this off. Time to draw up a plan! A selection of my beads can be purchased at my Etsy shop. Want something custom? Visit my on line Gallery, and contact me! 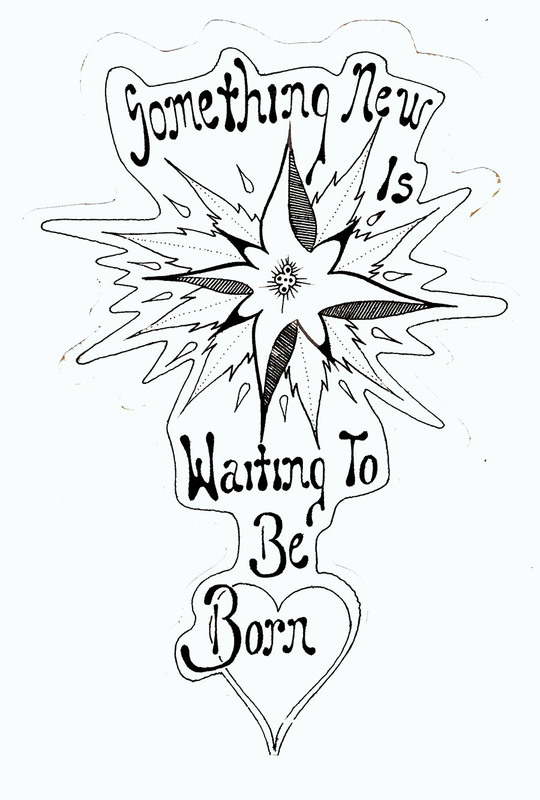 Happy 2012! Thank you for checking in! This year had a lot of “10’s” in it for me. Married 10 years. My son will turn 10 next month, and it is 2010. Who would have thought that year would ever be here. It all seems like a blink of an eye. 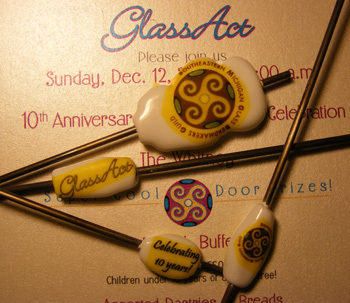 Glassact, the Southeast, Michigan glass bead makers guild just celebrated 10 years of being together (2000-2010). 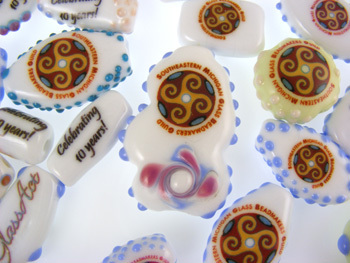 This is Southeast Michigan’s local chapter of the ISGB (International society of glass bead makers). Having been a member the last half of it, I have to say I am pretty thankful for these people. Glassact has served as a very strong support system for me. Having the meetings with the other Artist’s is inspirational. Getting feedback on my work, learning cool tips, and techniques. Without the volunteers that run our organization, we would not survive. 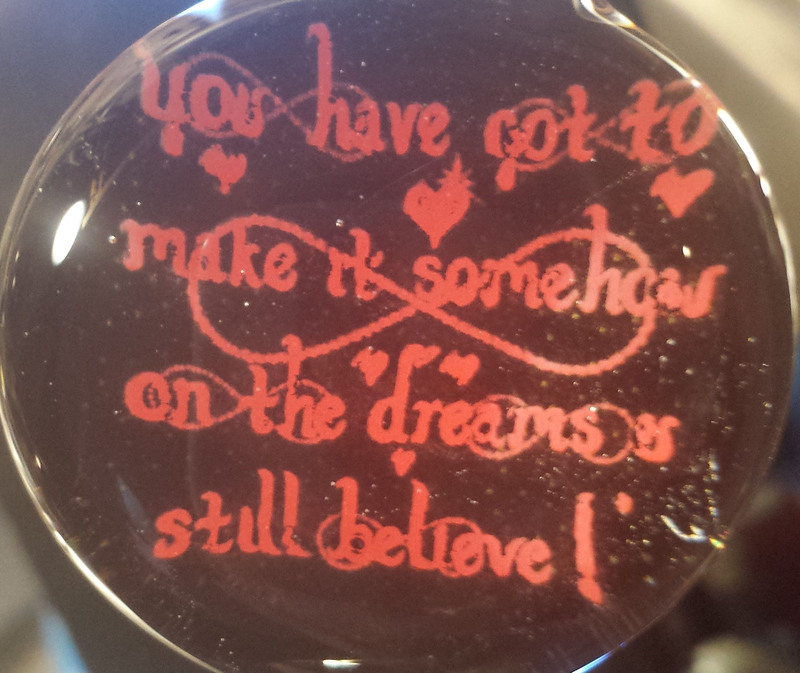 To show my gratitude, I was able to use the enamel decal process to make beads with the Guilds original Logo and text. At our 10 year celebration party (at the Whitney) in Detroit I gifted these 25 beads to some of the Guild members. I wanted to make enough for everyone, but time caught up to me. The Party was awesome. 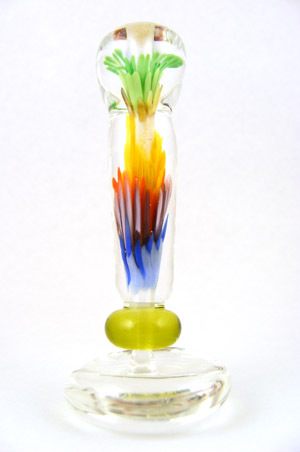 I won a $25.00 gift certificate to Frantz art glass. We all received a 1/4 lb of glass rods, magazines from the Flow,Glassline,Proffitable glass quarterly, a super cool tool from the class mates in Kristina Logan’s class. The awesome, perfect point to drag and pull glass with. We had two CGBeadrollers donated as gifts in a raffle. These tools open the door of possibility with glass. I am really excited to see what we do with them at flame off events. Every member got decals with instructions from me. And, of course I included a Glassact logo in each one. 10 years. Imagine what we can do in 10 more? I look forward to it. You are currently browsing the archives for the What’s going on with me? category.